Jennifer N. Johnson holds a degree from the Parsons/Cooper Hewitt Master’s Program in the History of Decorative Arts and Design. While pursuing her studies, she completed a two-year fellowship researching the Cooper Hewitt’s American sampler collection. 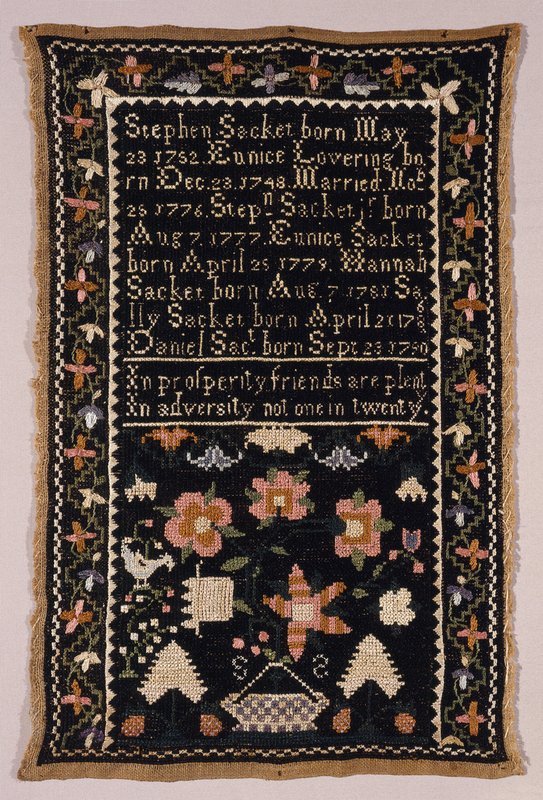 ‘The lives of great men all remind us that we can make our own life sublime and departing the earth we leave our footprints on the sands of time ‘ This has been aptly demonstrated by Sally Sacket whose conserved textile work has reached international limelight centuries afrer her.